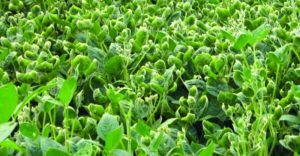 Was year two of the new dicamba technologies a success? In Monsanto’s view, 2018 was a clear-cut win: Nearly 50 million acres of dicamba-resistant soybeans and cotton were planted, more than double last year, which Ryan Rubischko, Monsanto’s Dicamba Portfolio Lead, says speaks to growers’ need for new tools to fight herbicide-resistant weeds. Even with sharply expanded acreage, the number of auxin drift injury-related cases nationwide is at 1,179, according to the latest survey data available from the Association of American Pesticide Control Officials, down from about 2,700 cases investigated by various state departments of agriculture in 2017. Monsanto says it received 53% fewer off-target movement inquiries from applicators and non-applicators as of July 19 compared to this same time last year – 468 in 2018 versus 1,002 in 2017. 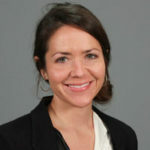 “Based on feedback we get from growers and retailers, understanding of the dos and don’ts led to the success this year. We’re seeing that with more farmers now having the right nozzles, using the right boom heights, and understanding what approved tank mixes to use and what mixes not to use, like ammonium sulfate,” Rubischko says. For example, only eight applicators inadvertently mixed AMS in the tank in 2018 — a dramatic improvement from 2017. “I’ve been out seeing hundreds of customers over the last number of weeks, and what I hear routinely is that if you follow label, you’ll have success – success is in direct correlation with following the label,” he adds. Issues retailers had with sprayer hygiene a year ago were also vastly improved this year, representing just 5 percent of reported incidents this season, to which he credits the company’s focused education efforts and label enhancements. Gary Schmitz, BASF Technical Services Manager for the Midwest, tells CropLife that BASF has also received fewer complaint calls than a year ago regarding Engenia. Schmitz reports growers are seeing “excellent weed control,” and he hopes that by staying true to the fundamentals, success will be sustained. It’s worth restating: There were still 1.1 million acres of alleged drift injury as of July 15, according to University of Missouri Professor Kevin Bradley’s closely watched dicamba report. 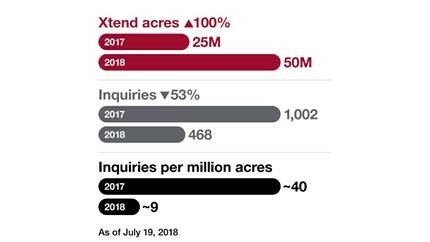 Rubischko points out that within 48 hours of a call coming into its hotline (1-844-RRXTEND), a company representative is lining up time to walk the field or fields in question with the farmer or applicator, and this year, it has been better able to pin down a likely cause of drift. The findings often aren’t in the applicator’s favor. “The biggest thing we see is that still, applicators make a decision to spray when the wind is blowing toward a susceptible crop. That is something outlined as ‘do not spray’ on our label, and we’ve highlighted extensively in training, but we still have scenarios that we’re seeing first-hand when walking individual fields, where following the label would have suggested not to spray in that time,” Rubischko explains. Other sources have also been found to have caused drift, including Group 4 herbicides used on corn in the central Corn Belt, where soybeans were frequently sprayed at the same time due to weather delays. Leaf cupping, too, was sometimes mistakenly blamed on dicamba drift, when in reality it was too much rain that stunted beans, he says. Drawing unwanted attention during this season was a surprisingly high number of suspected drift cases in Arkansas, despite the state’s April 16 in-crop use cut-off date, Arkansas Online reported on July 31. The State Plant Board and weed scientists believed illegal applications were to blame, because it takes seven to 21 days for dicamba symptoms to show. All of this aside, Rubischko is confident the technology’s label will be renewed come Nov. 9. 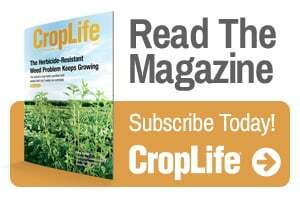 He drives the point home about the need for dicamba-resistant cropping systems to be used in an overall integrated management approach in order to stave off resistance and keep the tool around for years to come. Monsanto will continue making sure growers understand how important it is to incorporate residuals, apply early, and get weeds when they’re small – ideally 4 inches or smaller, he stresses. For 2019, Monsanto is targeting a 20% increase in dicamba-resistant soybean and cotton acreage to 60 million acres.